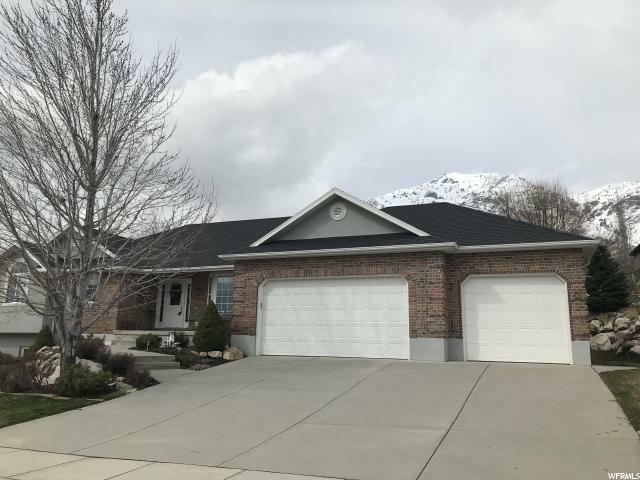 All North Ogden homes currently listed for sale in North Ogden as of 04/19/2019 are shown below. You can change the search criteria at any time by pressing the 'Change Search' button below. 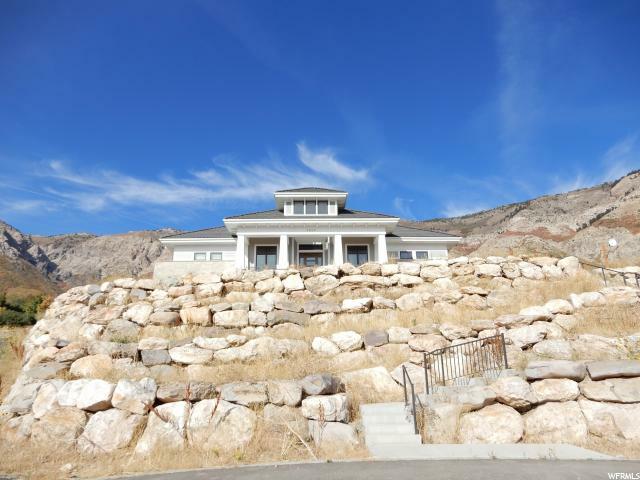 "Stunning custom built rambler boasts incredible views from every window! With over 6000 Sq ft, there is space for easy living and entertaining! 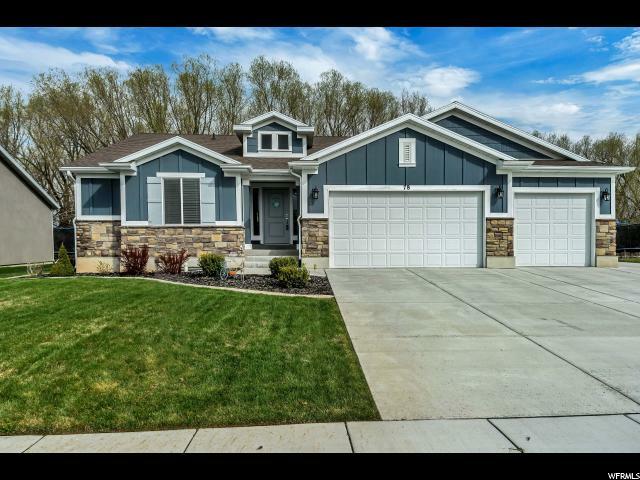 NO rear neighbor offers viewing of all the season colors in the great room with vaulted ceiling, surround sound, gas fireplace & walkout to covered patio. Spacious kitchen and dining with 5 burner gas stove top, double wall oven & spacious pantry. Custom cabinets and beautiful granite. Formal dining and living rooms offer open view to the mountains and are enhanced with upgraded lighting fixtures & built in shelving. 42-46 wide halls with hardwood floor throughout main floor, detailed office, tiled entry, en-suite guest bed room. Uninterrupted view from the En-suite owner's bedroom with wonderful walk-in closet and grand bath. 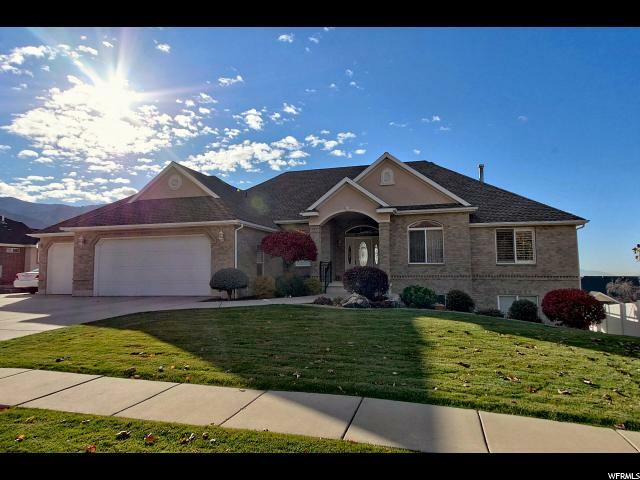 Entertaining walk-out basement with 4 large bedrooms (3 with walk-in closets), 1 1/2 baths, entertainment kitchen, and full laundry room. 16' X 40' heated, in-ground, diving pool with NEW auto cover and has new upgraded MetaFilter. Wired for hot tub. INCREDIBLE GARAGE has Oil sealed floor and accommodates 4-5 cars, 3 floor drains, hot & cold water utility sink. RV DUMP & POWER in RV pad.Utility room houses 2 furnaces, 2 water heaters with Instantaneous hot water system and water softener. Cold storage under the porch has spacious built-in shelving. 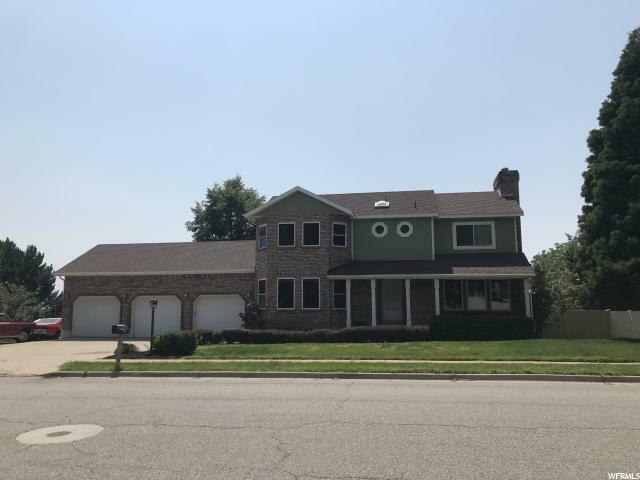 Additional garage/multi purpose space on south end of the house to store pool & yard equipment and has the half bath for pool users - walks into the fully finished basement. Plumbed for central vac." "Price Reduced! 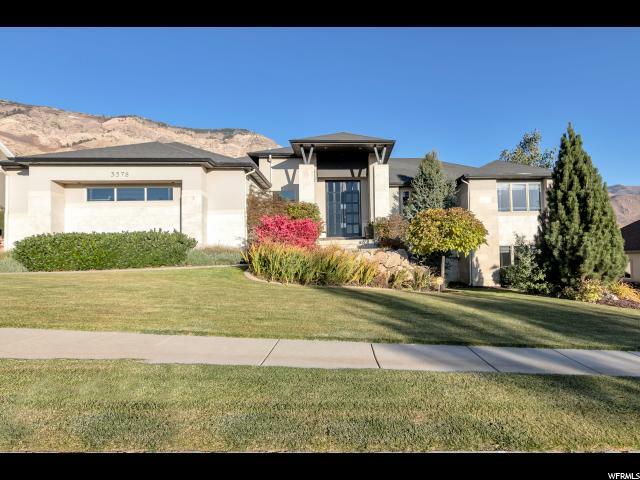 Beautiful all brick rambler nestled beneath Ben Lomond Peak offers both city & mountain views! You'll love the open floor plan that's perfect for entertaining. Lots of windows throughout for natural light and to enjoy the views! You'll enjoy cooking in the updated kitchen with granite countertops, generous cabinet space, separate pantry and a study area. Enjoy entertaining in the large formal dining room just off the kitchen. 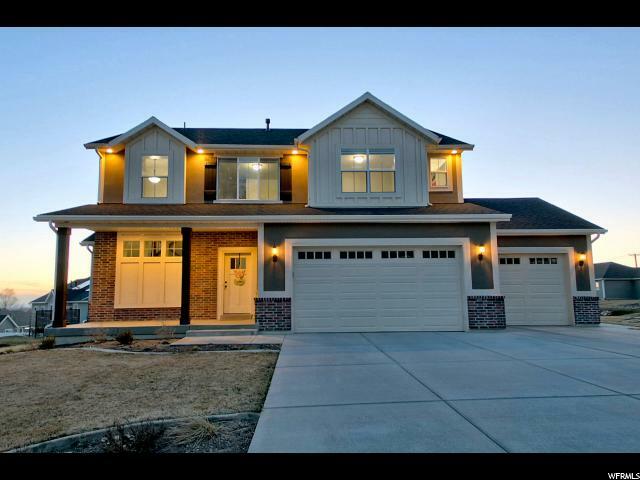 Private master bedroom with vaulted ceilings, spacious walk-in closet and en-suite with granite countertops, double sinks, and separate jetted tub/shower. This home has main level laundry! Office/Formal Living Room with french doors, crown molding and extra tall ceilings. 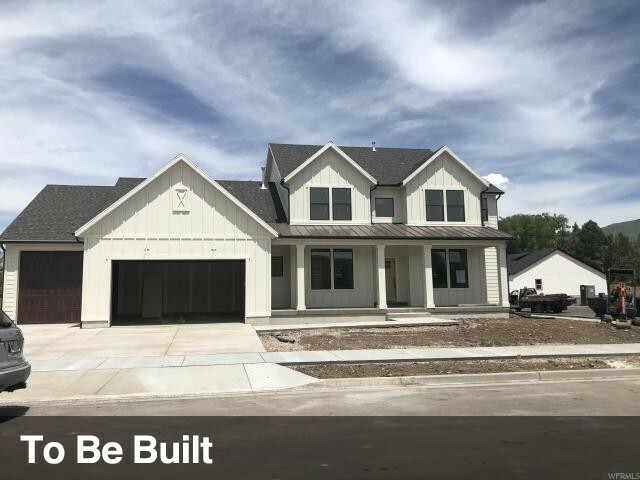 The daylight, walkout basement includes a generous size family room with tall ceilings, 2nd kitchen perfect for additional entertaining space with easy access to the patio or for a mother-in-law apartment. 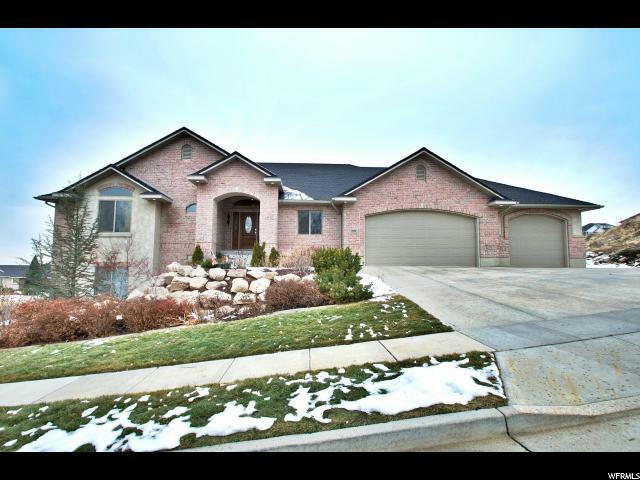 6 Bedrooms, 4 Bathrooms, 2 Fireplaces, central vac, 2 furnaces, 2 water heaters, 3 Car Garage, RV Parking, covered deck & patio. 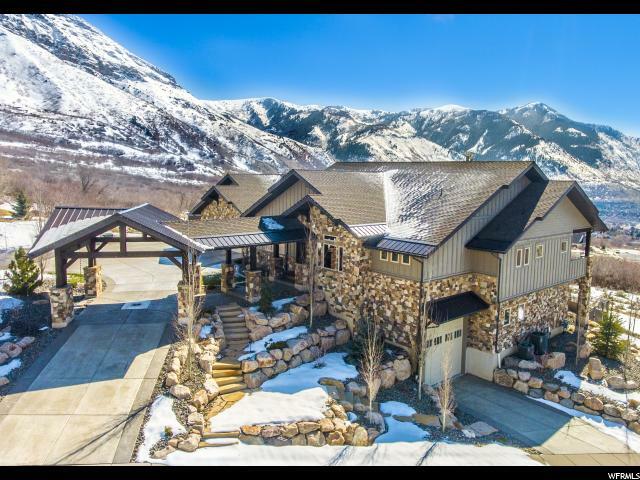 Only minutes from multiple hiking, biking and ski resorts. Bates Elementary school offers a Chinese Immersion Program. Be sure to click the 'TOUR' button to experience the Cinematic Video Tour! " "LOCATION LOCATION LOCATION!! 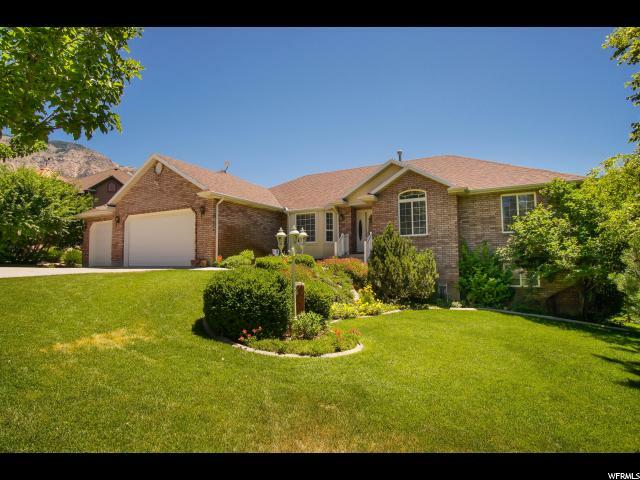 This hard to find farmhouse is located at the top of the mountain, right before you go up the North Ogden divide. 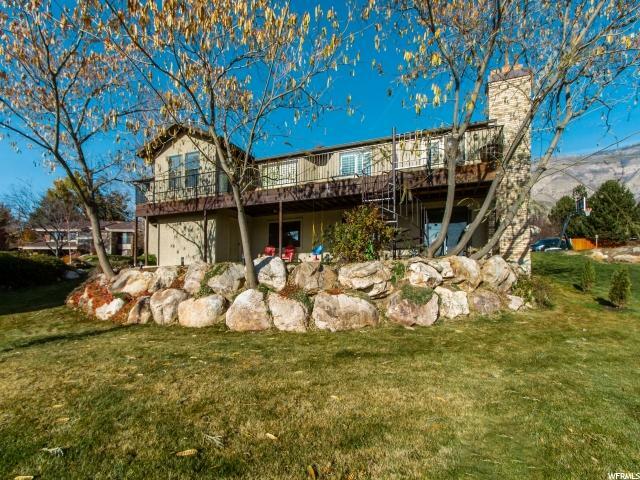 The front of the home has stunning valley and mountain views. The backyard has recently been excavated making the large .67 lot flat. 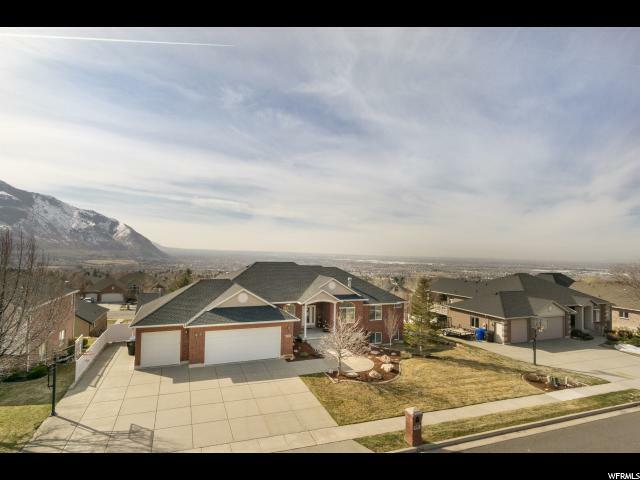 The view of the Mountain is beautiful, you will never have a backyard neighbor and there is a pathway to the Bonneville Shoreline trail. 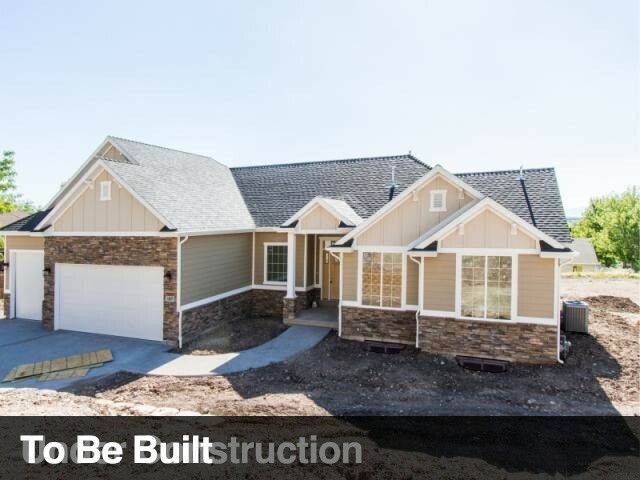 Inside this unique custom built home you will find a lot of awesome upgrades. The kitchen is oversized with high quality soft close cabinets. The floor coverings in the main living areas/basement are upgraded to a beautiful engineered hardwood. The basement is fully finished with plenty of space for a mancave, living room, game room etc. 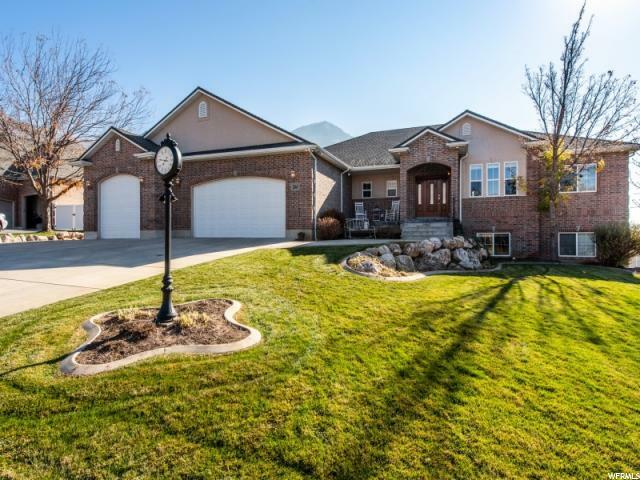 This home has been very loved and well cared for. 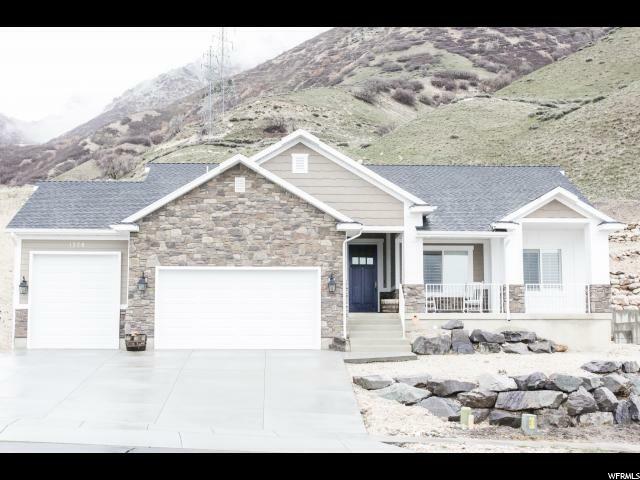 Don't miss out on this one of a kind property!" "Location Location backs up to The Barn Golf Course, Sale Failed, stucco color will be changed, custom built rambler ready to move in, fully finished and loaded with all the Bells and Whistles, plus a 3 car garage, the builders favorite floor plan, features a large open vaulted great room with a nice sized custom kitchen, island bar, crown mouldings, and granite counters with 2 tone paint and custom trim throughout, vaulted grande master suite with double sinks a large garden soak tub, separate shower and WIC, tile flooring in the bathrooms with custom tile surrounds 10 ft. basement walls a 2nd master bedroom in the basement with a large finished family room and walk out basement, bonus room over the garage would make a great office or 6th bedroom, nice 3 car garage for all your toys. Vacant and easy to show, mechanical keybox, see agent remarks. " "Breathtaking views of the whole valley from this spacious rambler. 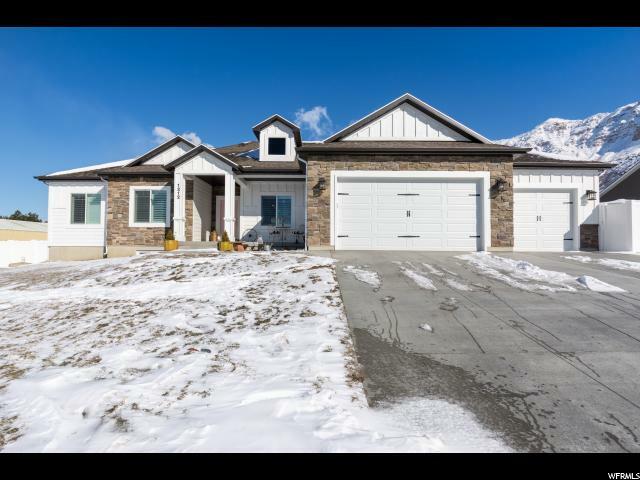 Vaulted ceilings, 10' ceilings both up and downstairs with large daylight windows in the basement. TWO pantries and pull out shelves in the kitchen. The garage features a built-in workbench and shelving. Shaded yard with delicious pears, berries, and grapes. Television in Family Room included."